Take the pizza dough and let rest before you begin. 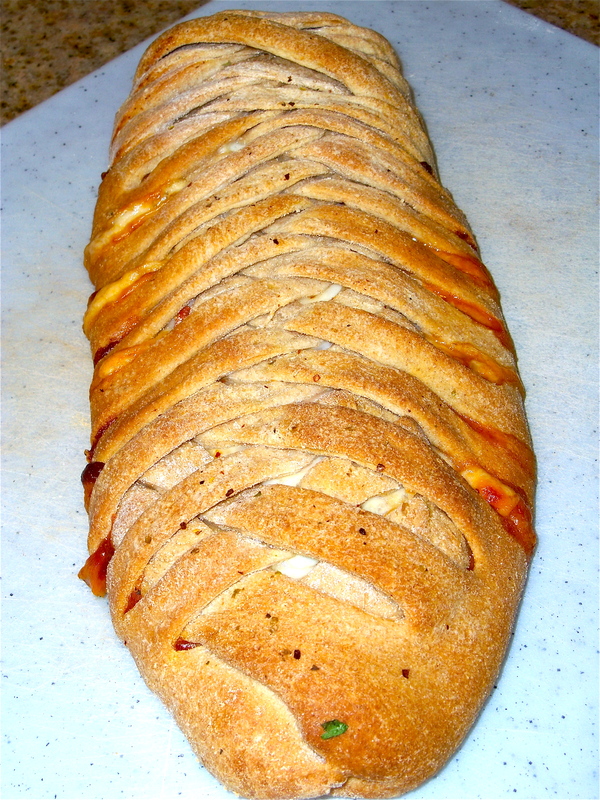 Spread the dough out for the calzone on a large cutting board. 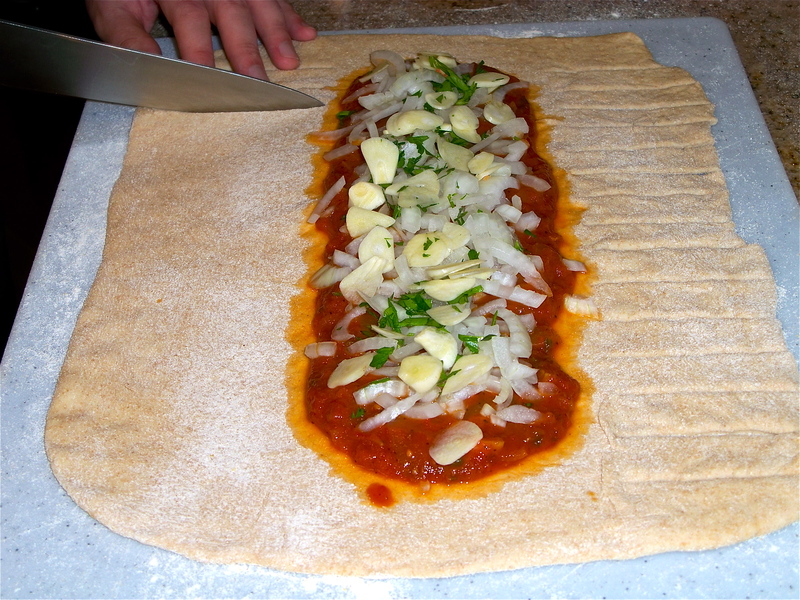 You are going to place the drained tomato sauce first, then the onions, parsley, and garlic. Take a knife and on each side cut slits up to the sauce and stop all the way down on both sides. 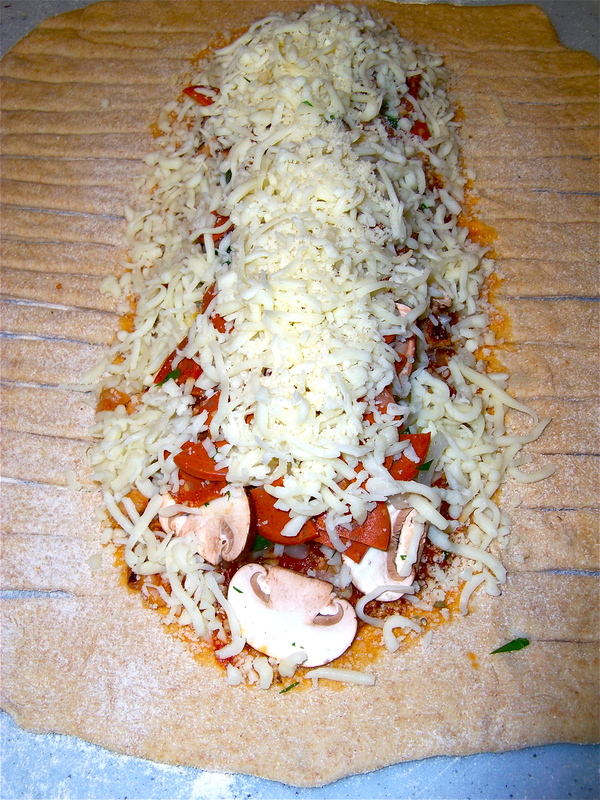 Once your finished cutting around the dough, add the cheese and any additional items you want to add. Now Start at an end tucking the very first piece down. 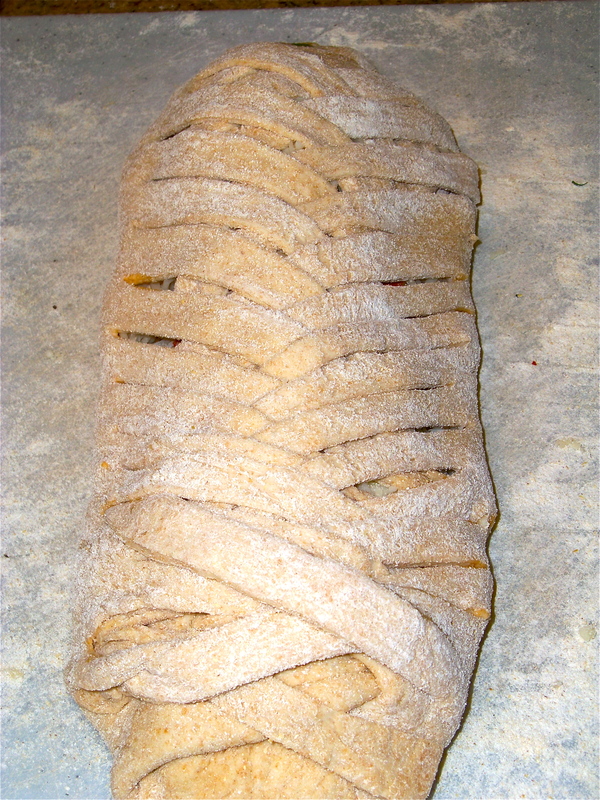 Then take a piece of dough from one side and cross it over the piece from the other side stretching the dough and tucking it in. Bake in oven on pizza stone for 18-25 minutes in 425 oven. 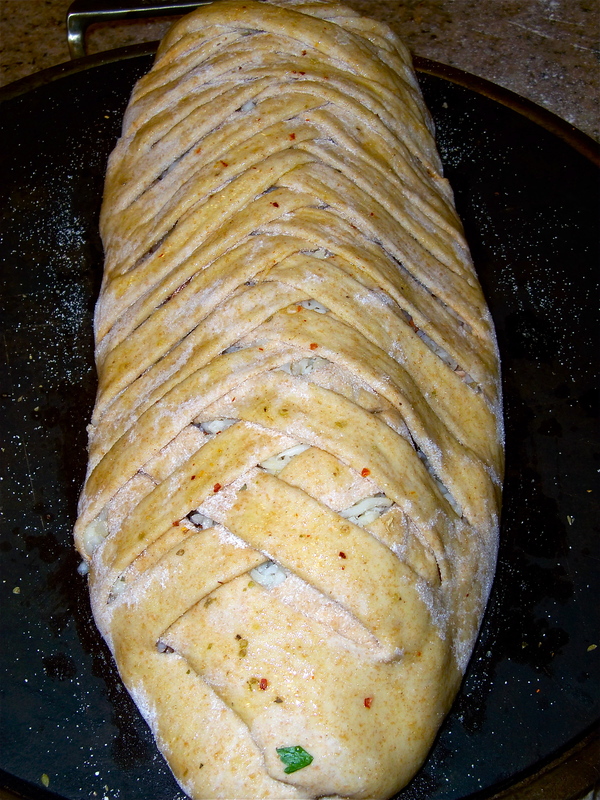 Check calzone after 10 minutes to see how it is cooking. 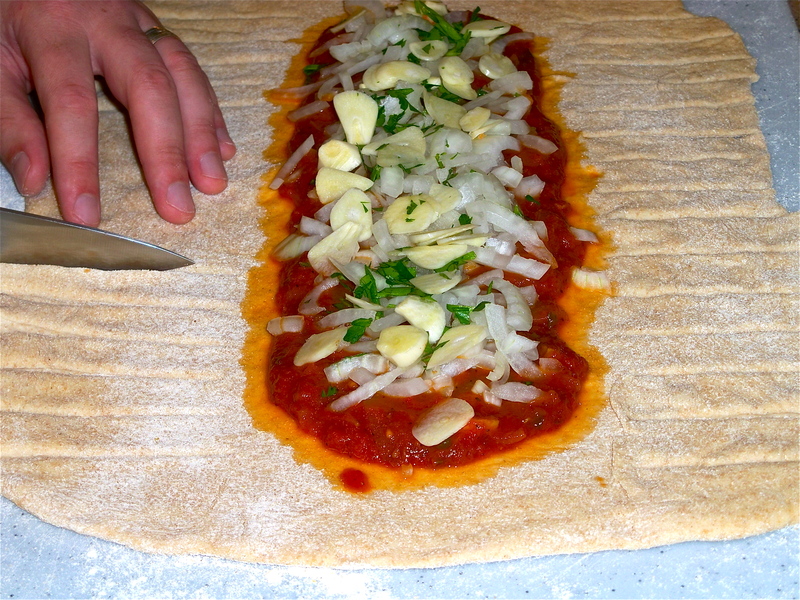 If you do not have a pizza stone don’t worry about it you can cook it in an oven safe tray, pan or dish. It is normal to have a little bit of liquid run out of calzone while it cooks down. When it is done it should look golden like this. Be sure to let it cool so you don’t get burned. Cut into pieces and serve. You can use fresh tomatoes or canned tomatoes. If all you can get is canned be sure to get no to low sodium tomatoes. I prefer to make my own fresh tomato sauce from scratch and it saves a lot of money. Saute onions and garlic in olive oil until golden. Add tomatoes and 6 Cups purified water. Bring to a boil. Simmer for 45-60 minutes until thickens. 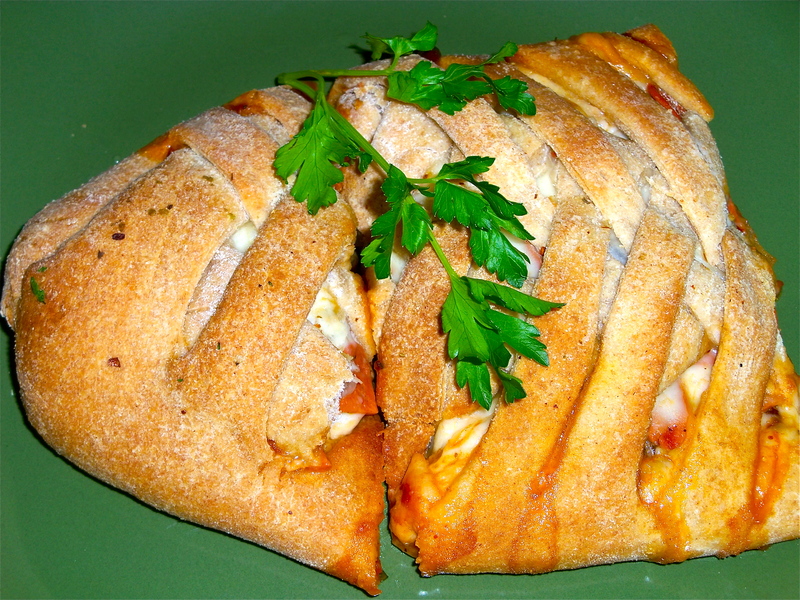 Once cools and thickens use for calzone.